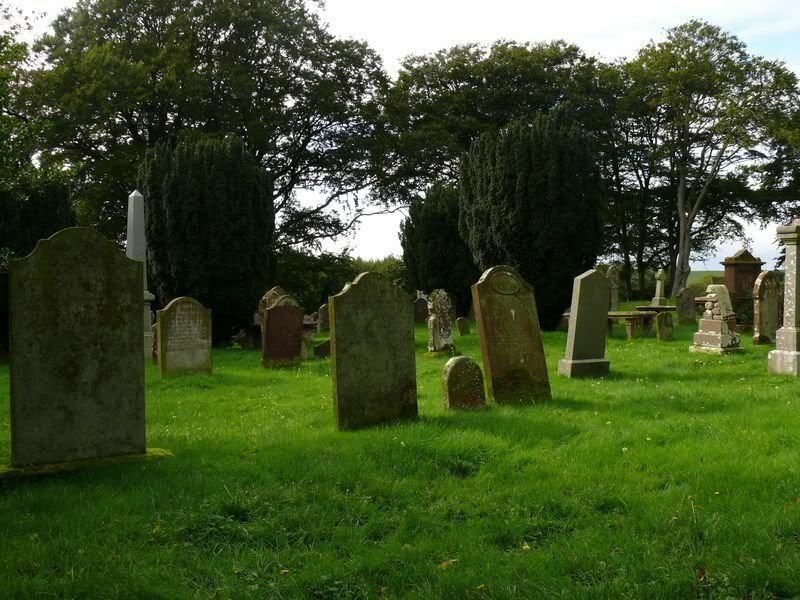 This is the churchyard of a now demolished church a few miles south of Newton Stewart. 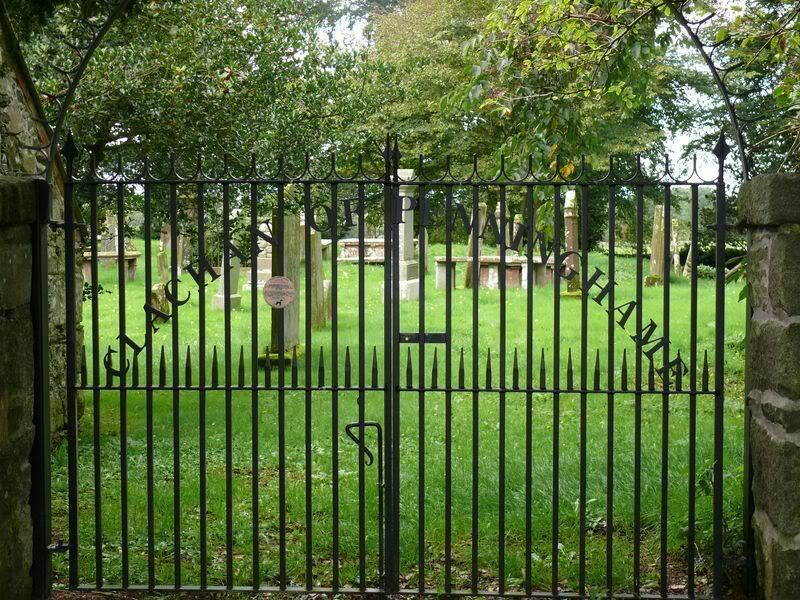 Once you are at the location you need to continue towards the farmyard (by now you will probably think you are in the wrong place) but continue and an opening to the churchyard appears on the right. Probably best to locate with a GPS. This is a private stone on a CWGC listed grave. 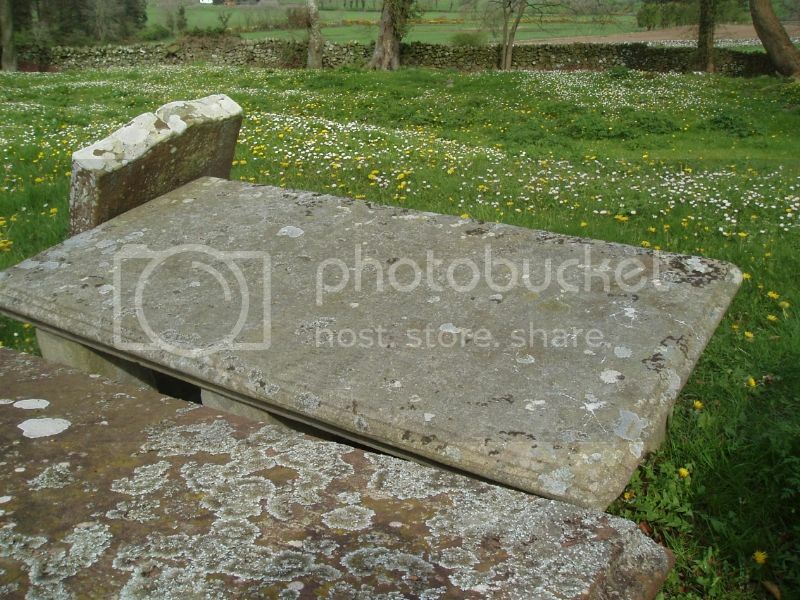 Unusually the grave also has a footstone. As of 9 October 2008 this grave is actually listed by CWGC in the wrong graveyard. 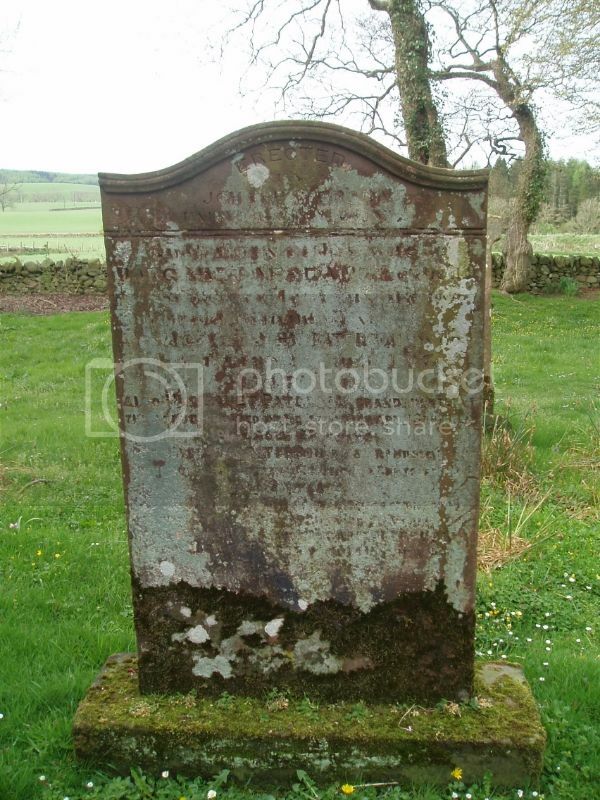 It is listed as Penninghame Old Cemetery (which is in the centre of Newton Stewart) but is actually in this cemetery a few miles south. I have written to CWGC to ask them to amend their records. Unit Text: 8th Canadian Field Amb. 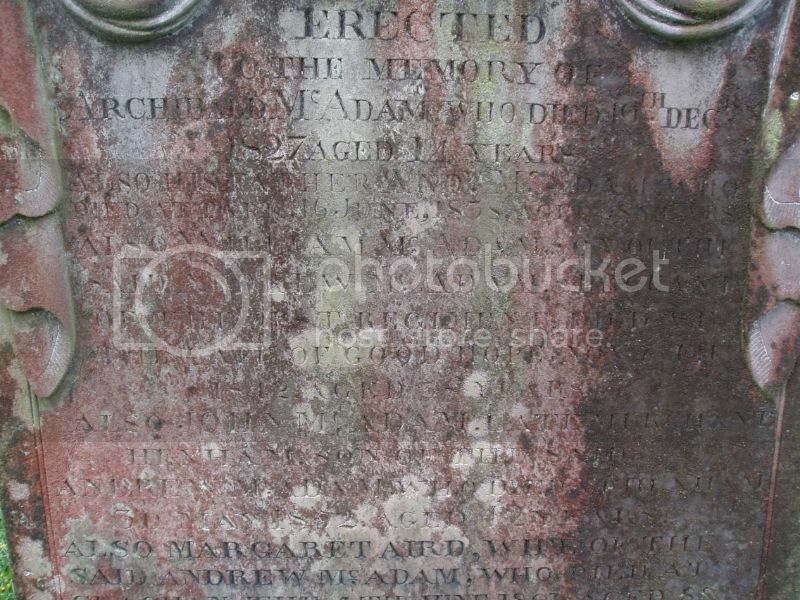 Additional information: Son of Samuel and Elizabeth McCuloch, husband of Ruby F. McCulloch, of Avoca, Victoria, Australia. Born at Skaith, Newton Stewart, Scotland. 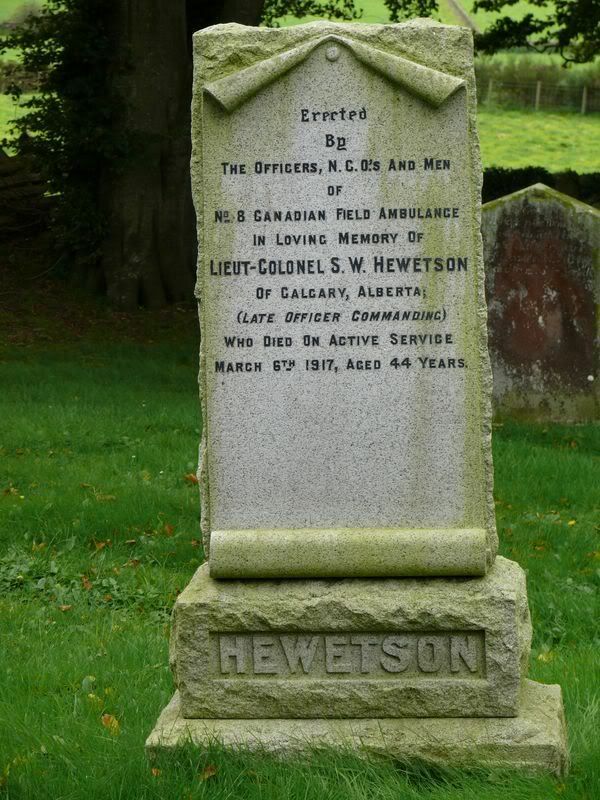 Lt. Col. SAMUEL WILLIAMSON HEWETSON Lieutenant Colonel: 8th Canadian Field Ambulance, Canadian Army Medical Corps was born in 1872 in Bruce County, Ontario, Canada a son of William and Mary (Sproat) Hewetson. His father had been born in Penninghame. He was the husband of Adelaide Maud Morden who he married in 1903 in Winnipeg, Manitoba. Adelaide died in 1910 and is buried in Pincher Creek Pioneer Cemetery, Alberta. Samuel was a physician and surgeon in Pincher Creek, Alberta when he enlisted in November 1915. He was posted as Lt. Colonel to the 8th CFA and went to France in April 1916. He was admitted to the No. 42 Casualty Clearing Station on 26 January 1917 as “sick” before being transferred to the 20th General Hospital before being evacuated to England. He died in the Royal Free Hospital in London of appendicitis on 6 March 1917. 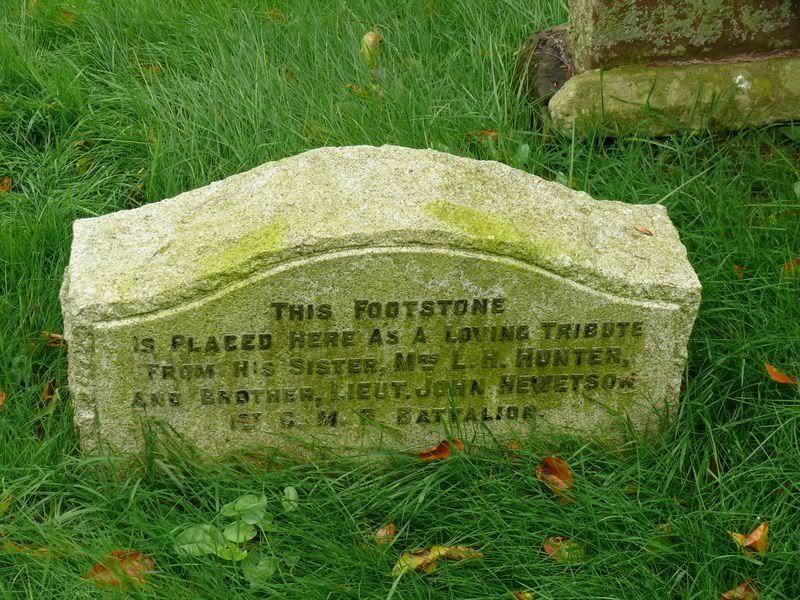 The footstone was laid by his brother Lt. John Sproat Hewetson, 1st Canadian Mounted Rifles, and by his sister Elizabeth Brown Hewetson who had married Lewis Hoffman Hunter in 1906 in Winnipeg, Manitoba. COLIN McCULLOCH, Private (6374) 8th Battalion, Australian Infantry. Age 37. Colin was a farmer when he enlisted in March 1916 at Ballarat, Victoria. He sailed from Melbourne in September arriving in France in December 1916. He was wounded in May 1918 but recovered only to be killed by a shell during an attack a couple of months later. Born 1881 at Skaith, Newton Stewart, Penninghame. 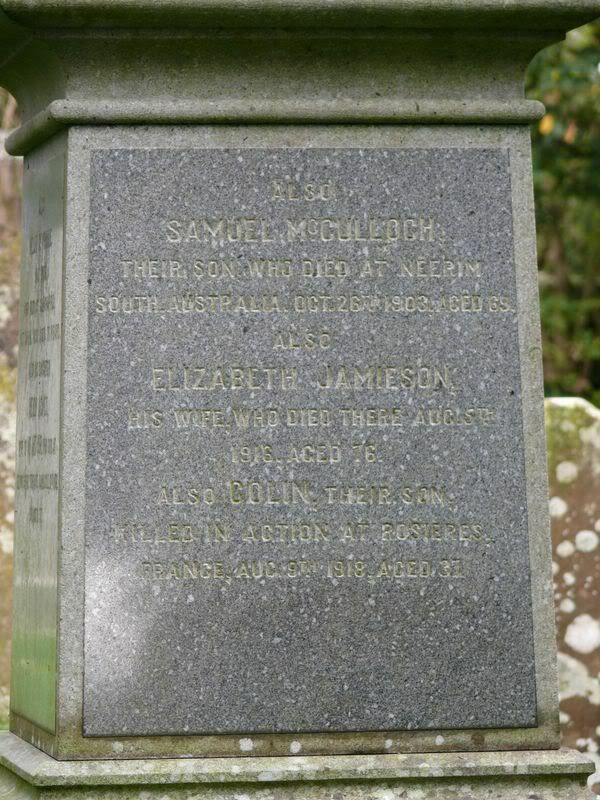 Son of Samuel and Elizabeth (Jamieson) McCulloch of Neerim, South Australia. Husband of Ruby Florence (Anderson) McCulloch of Avoca, Victoria. Killed in Action on 9 August 1918 and buried in Rosieres Communal Cemetery Extension, Somme, France. 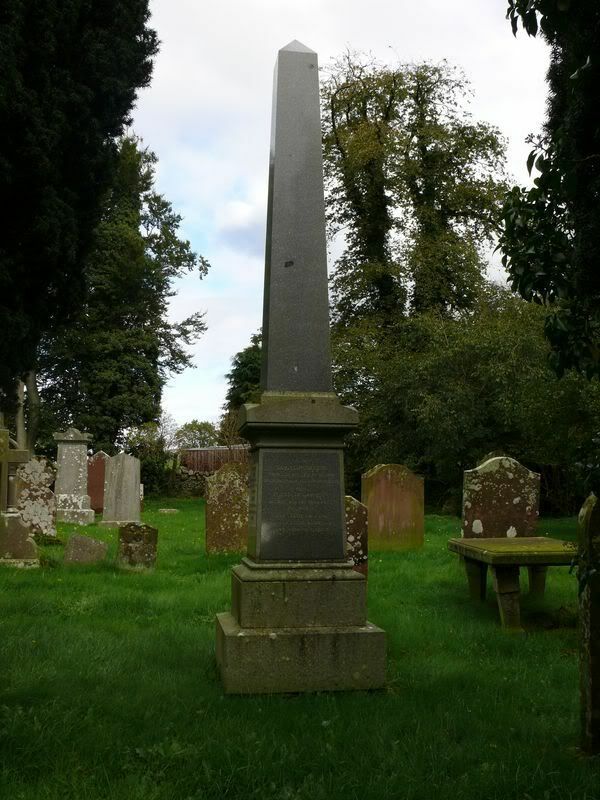 Additional Information: Son of John Paterson, of 11, Dashwood Square, Newton Stewart, Wigtownshire, and the late Mrs. Paterson. 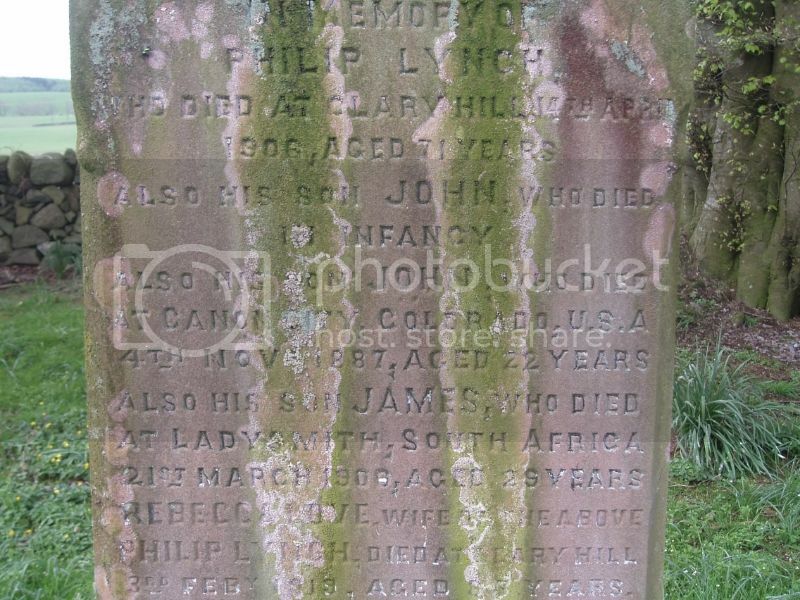 Trooper James Lynch – probably a casualty of the Boer War. 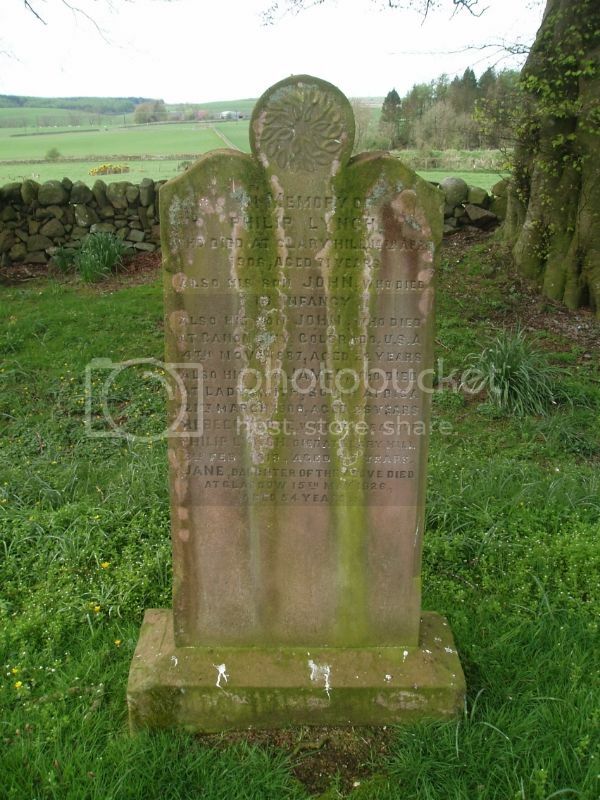 The inscription reads: Also his son James who died at Ladysmith, South Africa, 21st March 1900, aged 29 years. The Wigtownshire Free Press (28 June 1900) reported: At Ladysmith, South Africa, on 21st March, of dysentery, Trooper James Lynch, 1st Royal Dragoons, only surviving son of Philip Lynch, Clary. The siege of Ladysmith lasted from 2 November 1899 to 28 February 1900. William McAdam. Died 7 November 1842. 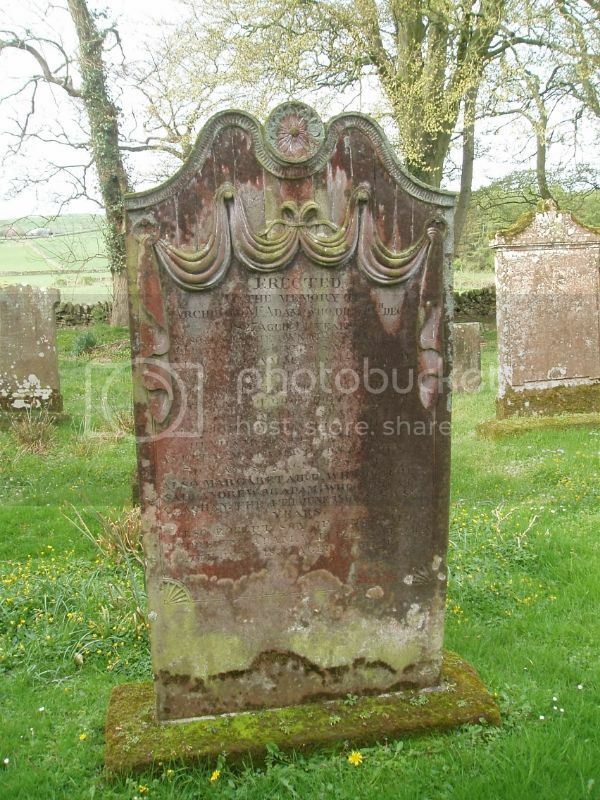 The inscription reads: Also William McAdam son of the said Andrew McADam, Sergeant of the 91st Regiment died at the Cape of Good Hope November 7th 1842 aged 38 years. There are some remarkably good examples of stone carving in this cemetery, even more elaborate than Sergeant McAdam's memorial. 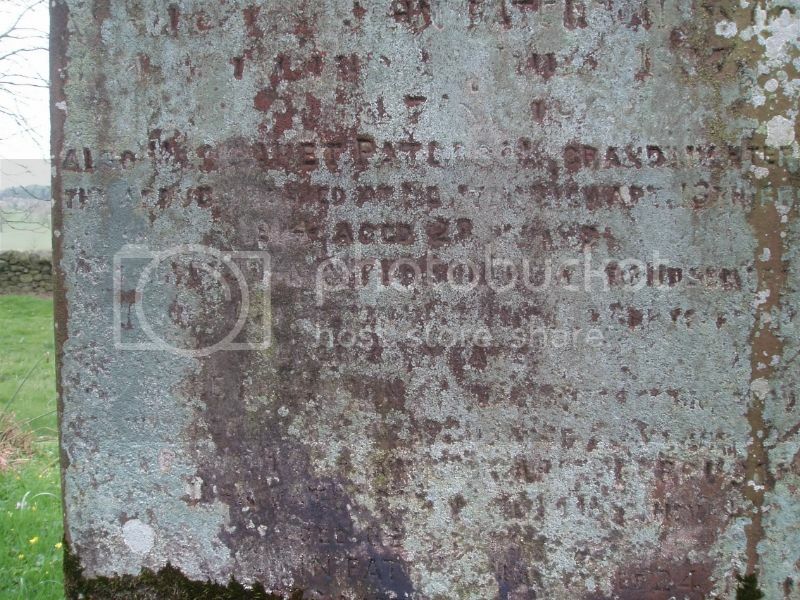 This grave is virtually illegible now but a survey in the late 1970s identified it as referring to William Black, RN and reads: also in memory of William 2nd son of the above William Black and surgeon in the Royal Navy who died at Sea the 6th and was interred in Malta the 9th August 1927 in the 36th year of his life.